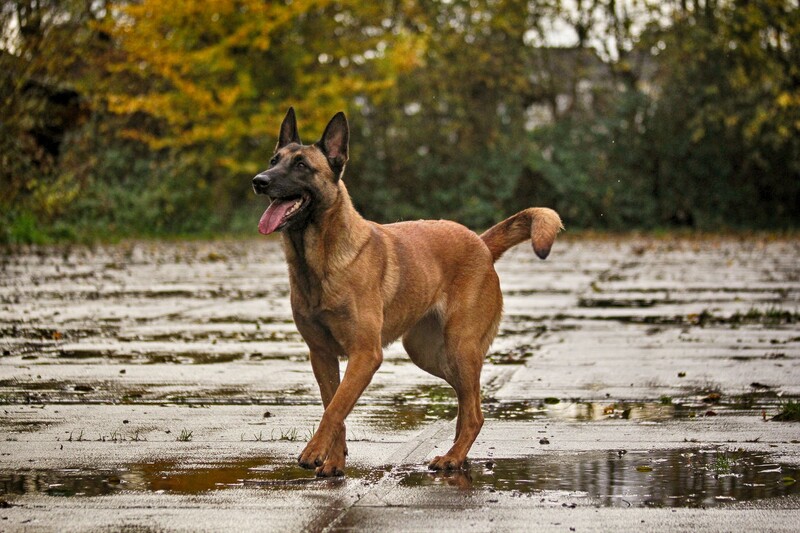 We have several very nice dogs Belgian Malinois Personal Protection Dogs for sale. The level of training varies from simple obedience to fully trained protection K9s. They will be posted soon if they are not sold first. Remember that most of our dogs never make it to the website because they sell first. If you want a Wolfsbane K9 please contact us today. Wolfsbane K9 is known for selling Belgian Malinois personal protection dogs that do the job in real world circumstances and not just on a sporting field such as Schutzhund or IPO. Our dogs are trained to search your home, protect your car or your kids in the backyard. Our “bad guys” wear bite gear that is totally hidden from the dog’s view. This means the dog is not equipment oriented. He is trained to fight a real world attacker without giving up. We do not call our trained dogs names such as “elite personal protection dogs” or “executive protection dogs” because this means nothing to you as an owner. The question comes down to whether or not the dog will do the job and we think our dogs will do it better than anyone’s. That’s why we offer a guarantee that is second to none in the business. Your dog from Wolfsbane K9 will be the best that money can buy and you will be 100% satisfied. We’ll accept nothing less. Wolfsbane K9 is known for outstanding service to clients around the world. However, around the world is a long ways to travel for help in handling your dog should questions come up. So, using today’s more stable video streaming we can work with you no matter where you are to resolve almost any problem. We’ll video conference with you so that you can show us what the dog is doing and we’ll tell you how to fix it. There’s never a time limit and never an additional charge. There is more to buying a dog than the training level or price, you’ll need confidence in the people you work with and we’ll be here for you.